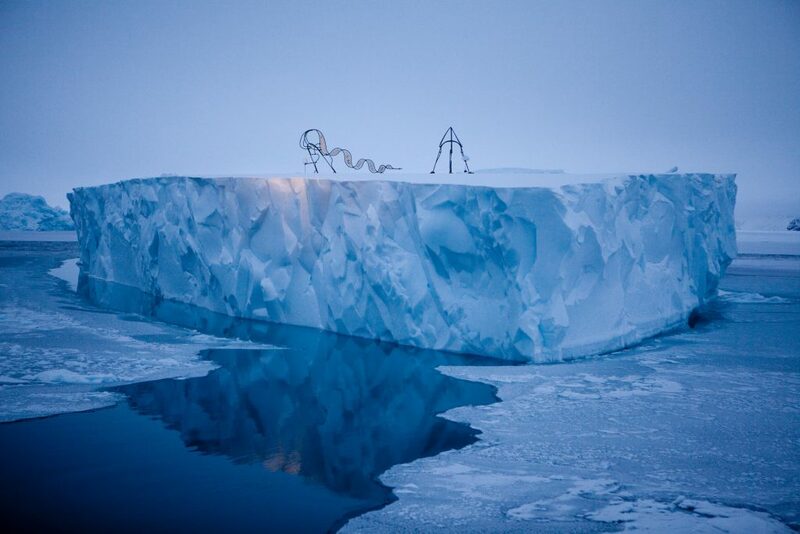 Project cool(E)motion: placing 2 huge sculptures on a drifting iceberg in North-West Greenland. 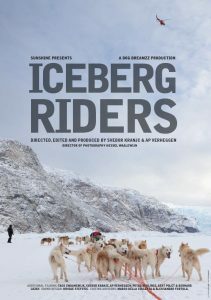 The documentary film about the project: “IceBerg Riders” was presented worldwide. By creating a gigantic and unprecedented art project, cool(E)motion wanted to re-engage the public on the topic of climate change. It wants to do so in a positive manner, contrary to the fault-finding impulses or the accusing finger. The cool(E)motion project was very successful in drawing attention worldwide to a more positive approach to the challenges of climate change. June 2009 saw the start of this first in the chain of projects that connect climate to culture. Two large sculptures were placed on an iceberg in the bay of Uummannaq, West Greenland in a creative and playful way. The ‘warm’ winters prevent the local Eskimos from travelling the sea ice on their dog sledges and hunt the animals of the Arctic. In no more than four years the temperature of the water has risen so rapidly that the sea ice has become unreliable, if indeed it is there at all. The way out of this predicament for the local people is to find a new way of living and thus, adapt the culture that they have relied on for a long time. To help visualise the choices and inherent dilemmas that such change will bring about, two large sculptures were built and placed on an iceberg, depicting dog sledge riders. Normally the riders decide when their journey will start and whence it will lead. For the two riders in the art project the context had changed and nature would decide the itinerary. 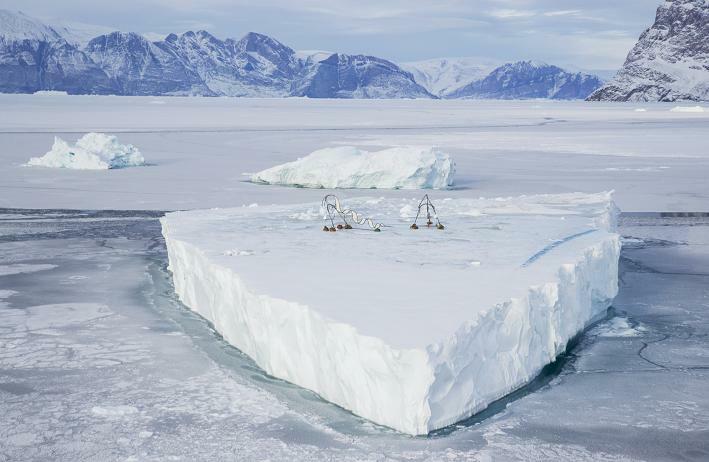 GPS equipment attached to the sculptures allowed a world-wide audience to track the journey of the iceberg on the internet. Indeed nature did decide the itinerary, because where normally the sizeable iceberg that carried the sculptures would survive for some three or four years sailing the Baffin Sea offshore West Greenland, its journey ended surprisingly only after two months when it melted and vanished in the “warm” waters of Uummannaq bay. Because we are very concerned about the effects of climate change moving south, we give the very first victims of climate change a voice: the Inuit, a group of people who currently have no voice. Their story can become ours. But Inuit culture has always dealt with adaptation to harsh circumstances. Because our culture is based on more stable circumstances, we are not used to short-term change. We, with our more structured culture, will have a tougher time. But nonetheless, climate change means culture change. Art is emotion. And it is this very emotion which is lacking in the discussion that even for insiders has become a cacophony. We seek your support for cool(E)motion in creating a better future for the planet and its people. In this way, a new dimension to climate change will be added, putting feeling and emotion back into the debate.